Game of Thrones – A Telltale Games Series is a six part episodic game series set in the world of HBO’s groundbreaking TV show. Tie, untie and rotate more than 100 knots with just your finger! Knots 3D will give you a whole new perspective on knots! Grab a rope and have fun! Have you ever wondered what a knot looks like rotated 40° or maybe 90°? Or maybe you want to see what a Trilene knot or Constrictor knot looks like from the back? Use your finger to spin the knot and see how it looks from any angle in 3D! Choose from 101 different knots and see how they’re tied in incredible detail. Watch the knot draw itself or use your finger to tie and untie the knot. Its easy to see where the virtual rope goes in and out and around. (Something about a rabbit and a hole and a tree right? ) Zoom in on the knot to get a closer look or flip it around for another perspective. Can your old school knot app do that?! – Interact with the knot on screen via multi-touch gestures such as pinch-to-zoom and swipe to tie/untie. – Completely self contained — No internet required! – 100% localized for over a dozen languages: English, Chinese, Danish, Dutch, French, German, Hebrew, Italian, Japanese, Korean, Norwegian, Polish, Portuguese, Russian, Spanish, Swedish and Turkish! Albright Special, Anchor Hitch, Ashley’s Bend, Blood Knot, Bowline, Bowline on a Bight, Buntline Hitch, Carrick Bend, Cats Paw, Clinch Knot (Improved), Clove Hitch, Constrictor Knot, Larks Head Hitch, Double Sheet Bend, Figure 8 Knot, Figure 8 Bend, Figure 8 Loop, Fisherman’s Eye, Fisherman’s Knot, Jar Sling Knot, Loop Knot, Overhand Knot, Perfection Loop, Rolling Hitch, Round Turn & Two Half Hitches, Running Bowline, Square Knot (Reef Knot), Sheepshank, Sheet Bend, Stevedore’s Knot, Surgeon’s Knot, Surgeon’s Loop, Taut Line Hitch, Tiller’s Hitch, Timber Hitch, Water Knot, Zeppelin Bend, Alpine Butterfly, Trucker’s Hitch, Prusik Hitch, Rapala Knot, San Diego Jam, Yucatan Knot, Diagonal Lashing, Double Coin Knot, Mooring Hitch, Round Lashing, Shear Lashing, Square Lashing, Trefoil Knot, Jury Mast Knot, Monkey’s Fist, Turk’s Head and many more! Superb in every way – 5 Stars! I’m a fairly handy guy (surgeon) and rely on several knots in my practice. Nevertheless I’m pretty hopeless at learning new knots and remembering them, even though I’m a sailor and do some fishing. Knots 3D is the answer. I love every aspect of the app. Great App – 5 Stars! I really like this app, I have 4 knot apps, and I use this one the most. As a firefighter rope skills is a must and this app helps keep me “knot prepared”. The zoom and step through the knot using a finger gestures is real handy. The author updates this app with new knots often. I recommend this app. Go on a playdate with your favourite Sago Mini friends! Take a walk to a friend’s house and let the fun begin. Help Robin the bird fix a birdhouse, play dress-up with Jinja the cat or enjoy a snack with Harvey the dog. With five friends and more than ten activities, there’s a lot to explore. Our team of designers and developers create apps that children love and parents trust. We build on kids’ natural sense of wonder, creativity and curiosity to make apps that are safe, positive and fun. Millions of parents trust Sago Mini as the ideal first apps for their little ones. With improved support from major web browsers for CSS 3 and HTML 5, developer today prefer to create button using CSS and HTML than using static image. With CSS, button can easily adapt to a different size without losing any quality and will greatly reduce bandwidth usage. Creating button with CSS is pretty easy. Everyone can code it using a simple text editor, but it will be time consuming and quite a tedious work. Using Quick CSS Button, creating a button is much more fun. Just a few clicks here and there than your button is ready to use. Give it a try. Welcome to Aqueduct – a world of jumbled waterways and mixed-up pipelines. It’s up to you to rearrange the tracks and restore the flow. From the creators of Blockwick, Orba, and Monster Soup—Aqueduct fuses the slider-puzzle and pipe-connecting concepts into something totally new and outlandishly clever. If you’re bored of the same old puzzlers, Aqueduct will give your brain the challenge it’s looking for. Star Walk 2 is a next-generation tool for not only learning the exact position of stars, planets, constellations, comets, ISS, satellites, star clusters, nebulae and meteor showers in the night sky but also for investigating its’ depth like watching constellations, nebulae and satellites from aside. BEST OF 2014: The next generation of the best-selling Star Walk, winner of Apple Design Award, used by over 10 million people. Star Walk 2 is an exquisite stargazing tool that combines astronomical data with premium technology to deliver an effortless journey through thousands of stars, comets, and constellations. All you have to do is point your iPhone or iPad at the sky. *Available through In-App Purchase. Constellations are available for free for limited time. 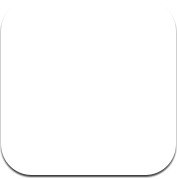 Universal app that works on iPhone, iPad, and iPod touch. Unlike on a plain photograph, every star in Star Walk 2 has coordinates. That means you can look at objects, for instance, a constellation from any vantage point in space, not to mention the ultimate accuracy of your map for your exact location. Star Walk 2 gives you accurate daily data on current moon phase, time of sunset and sunrise, and elevation of planets. With just one slide you can see how the sky will look later tonight or throughout the year. Special night-time soft red mode will help you preserve night vision when stargazing with a telescope. You can see the sky in X-Ray (and 5 more filters) to study the invisible structure of the universe. Live tracking for over 8,000 satellites will help you catch iridium flares, and detailed articles will satisfy the most curious inquirer. When we started working on Air Video HD we had one simple objective in mind: To build the best video streaming app technically possible. With the 2.0 release, we know we came to this closer than ever. If you have your videos on your computer and want to enjoy them on iPhone, iPad, iPod touch and Apple TV, this is the app for you. * Video Download. Going somewhere without internet access? Air Video HD is the easiest way to get your videos to device. Simply browse to your video and press download. That’s it. With one slider you decide if you want to prioritize video quality or save space on device. Little Builders – construction site fun for 2-6 year old children! On our construction site your child can drive a digger, mix cement, roof a building, operate a crane, drive a street sweeper or paint a house. There’s so much to do here. Our Little Builders dig, plaster, fill, paint and mix… And they need your children´s help. MathTime is a math-app for children in elementary school. MathTime is a remedial app, meaning the app goes beyond simple practice. With MathTime, children will learn to use strategies to solve mathematical problems both better and faster in a playful manner. MathTime is based on some of the core goals that are prescribed for children in elementary school. Therefor MathTime can be used side-by-side with the different methods that are used in schools today. The MathTime method was created by Karin Engelen, remedial teacher in Breda, the Netherlands. Together with DevJockeys she developed a way to transform this successful method into the app you see before you. Get it here, free for a limited time!